We took “gotta catch ‘em all” seriously. From journeys that start in Pallet Town and Pokémon Go adventures that lead you to places you never knew existed, Pokémon is one of the most beloved games of all time. As avid fans ourselves, we stock everything you need to start your own collection or to keep on building. 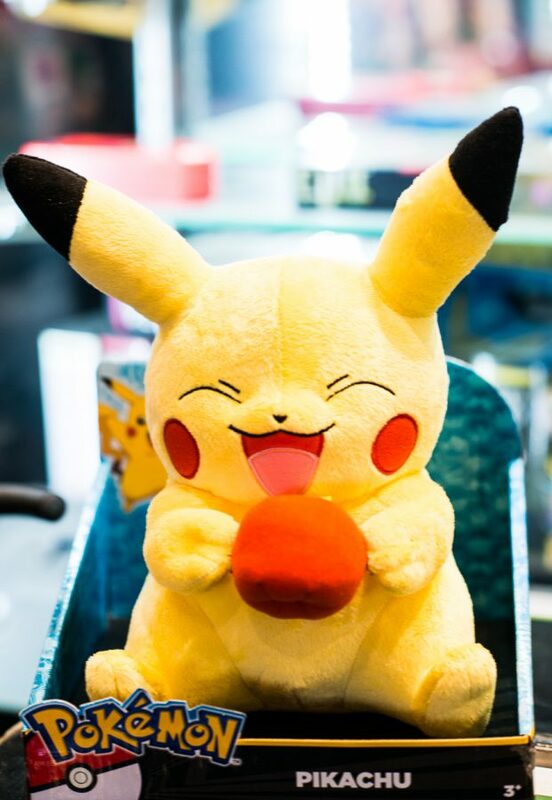 Looking for Officially Licensed Pokémon toys and collectables? We’ve got them here. We also stock a wide selection of loose EX Cards, rare cards, secret rare cards and full art cards. Want to know more? We’d love to help you find what you’re looking for at our location in Hillsdale, New Jersey. Looking to purchase our Trading Cards online? Head over to our Online Trading Card Store! And don’t forget to check out our Pokémon events!